Move as much as possible out of the room. Move anything that can’t be moved out to center, and cover. Tear down these walls! 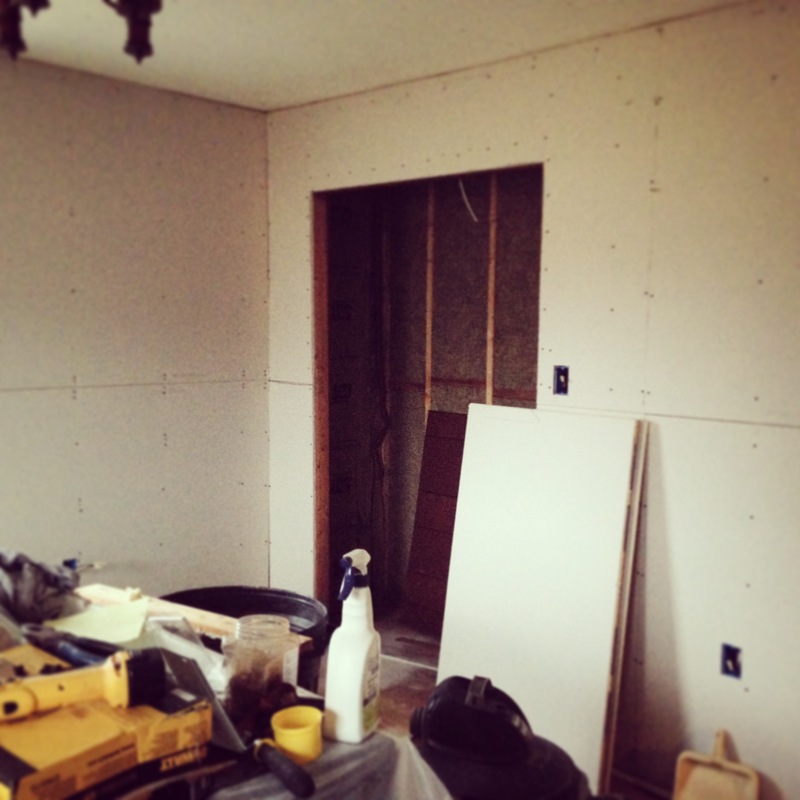 We ripped out the wood paneling, nasty drywall, terrible electrical work, trim, closet, and insulation. This part’s kinda fun. Re-insulate. 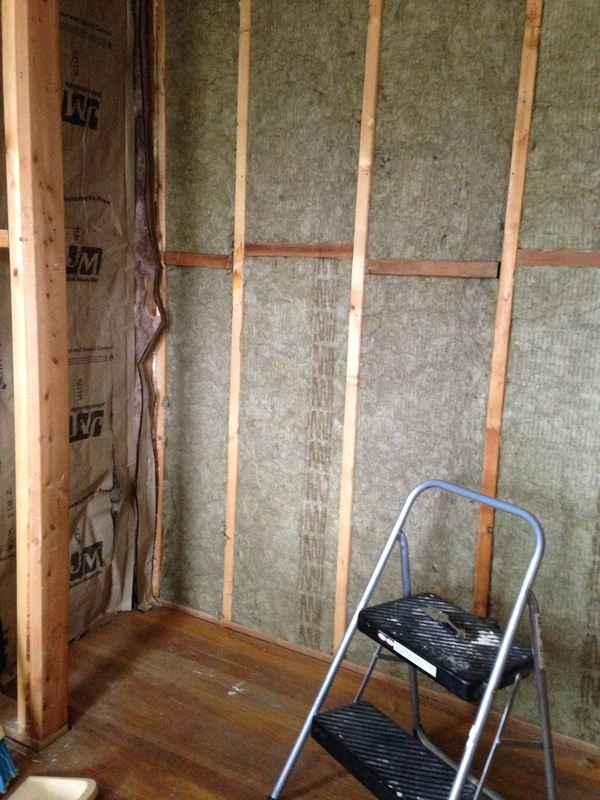 Shawn insulated the exterior walls, and I did the soundproofing. Yes, I did something! 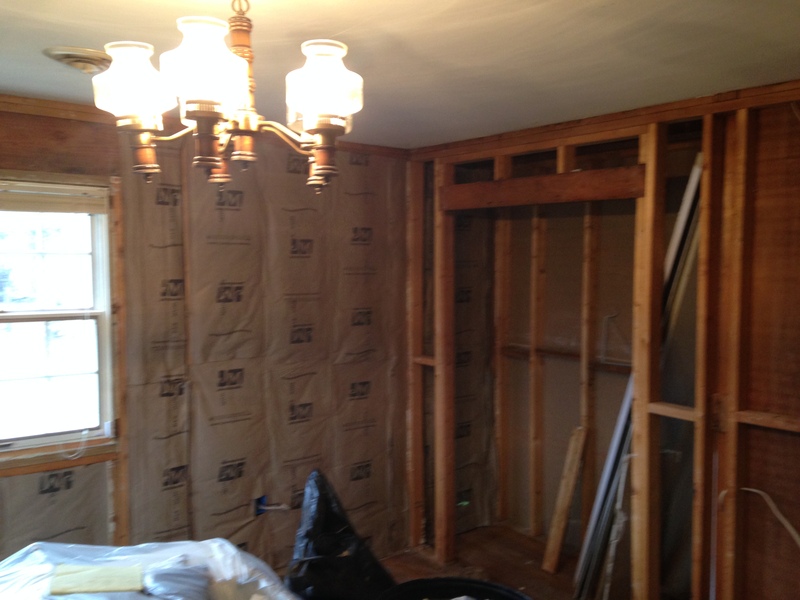 Since the house is small and open concept, we decided to soundproof the interior walls (adjacent to the hall bath and guest bedroom). Some of my handywork in the closet. I’m too proud of this. Re-do all the electrical work. 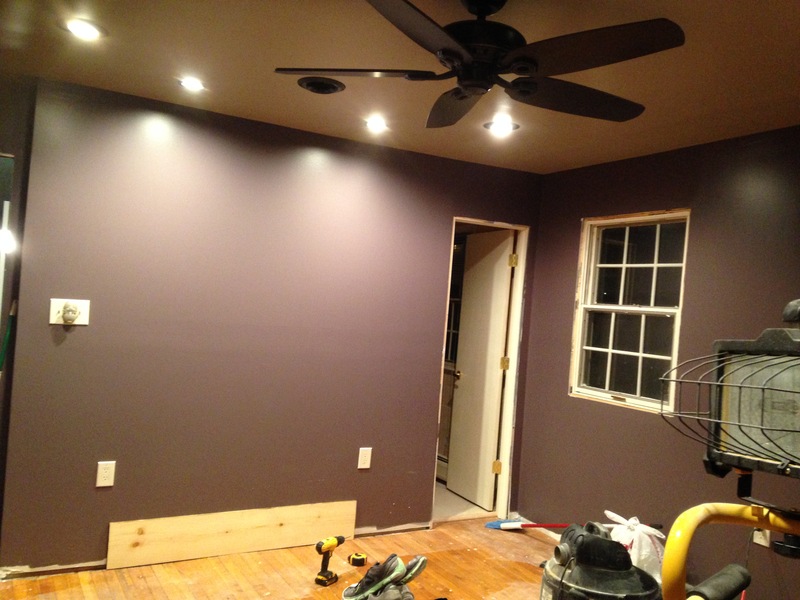 Before drywall went back up, my in-house electrician/lover rewired everything to prep for new lights, add outlets, add more switches for the fan and focal lights, etc. I did absolutely nothing for this part. Shawn was in the attic a lot. I ate snacks. 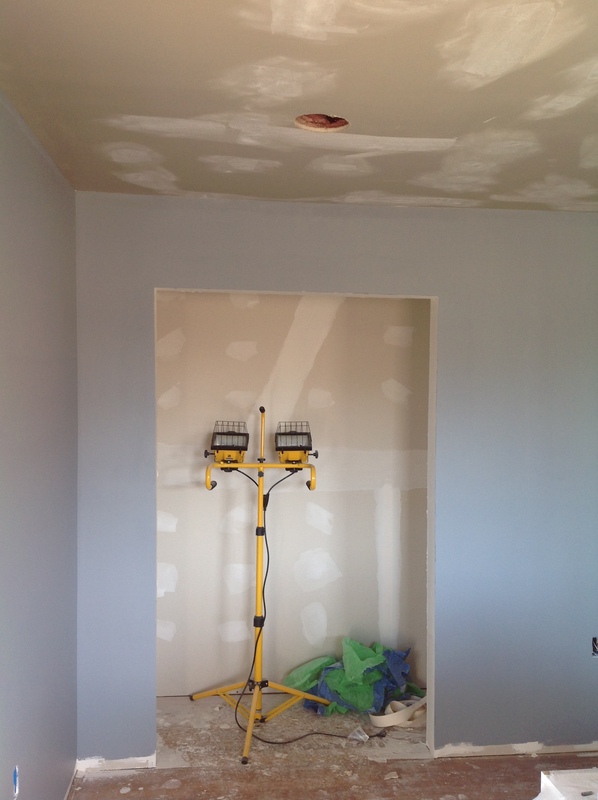 Drywall Forever. This is the longest, most obnoxious part of the process–and that’s coming from the person who did maybe 1% of the work on it. 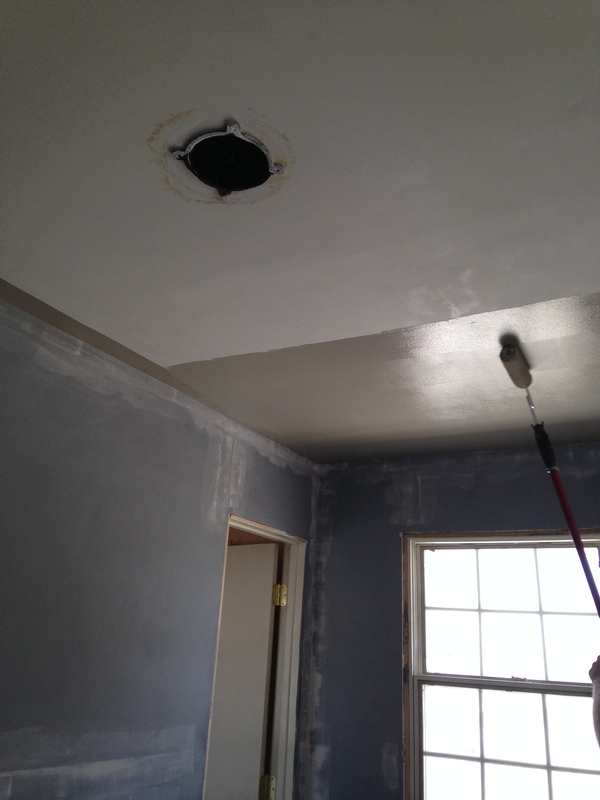 Shawn hung drywall and re-screwed the ceiling into place, taped the drywall, mudded the drywall, sanded the drywall, mudded again, sanded again, mudded again. 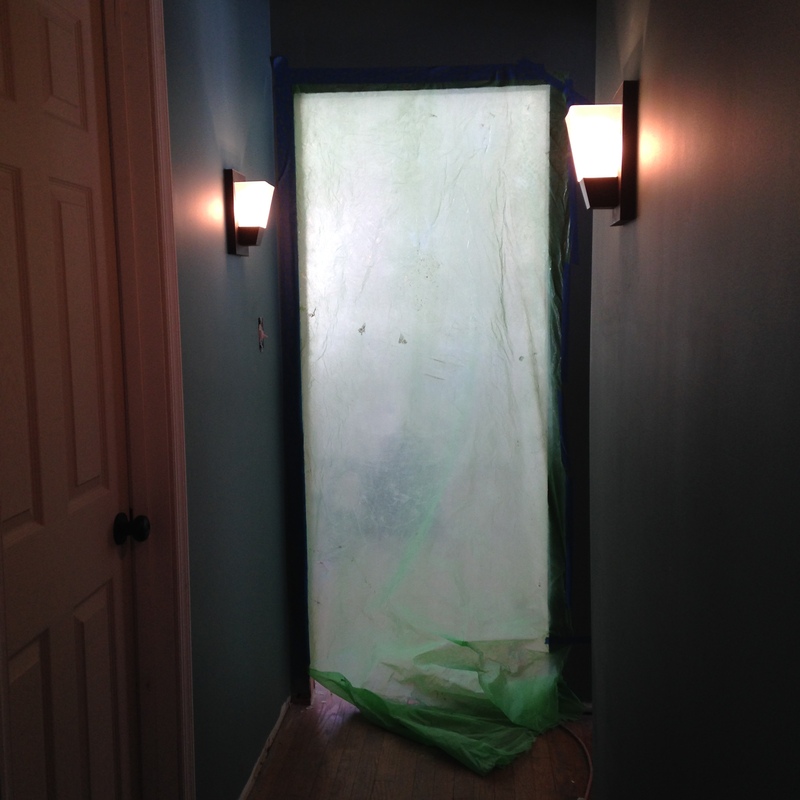 So my job was to hang the plastic to keep the sanding mess confined to one space. I wasn’t very good at my job. I also carried many objects to and from and tried to tidy up along the way. I was also bad at that job. Beetlejuice, Beetlejuice, Beetlejuice! Sanding prep. First primer coat = still more sanding to go. 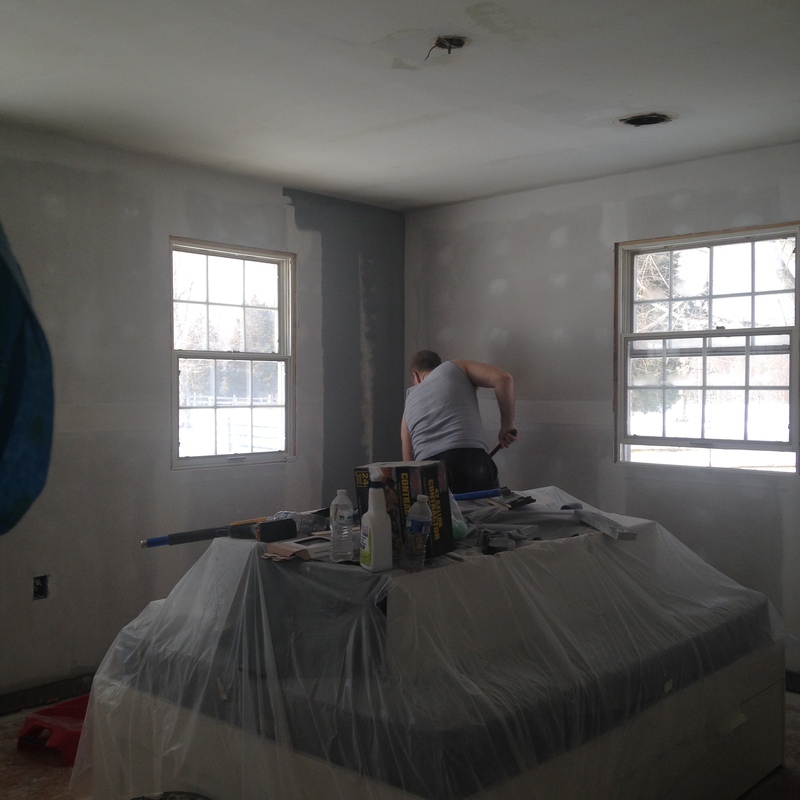 Primer & Paint (and sand some more..). This is when the magic starts really happening. 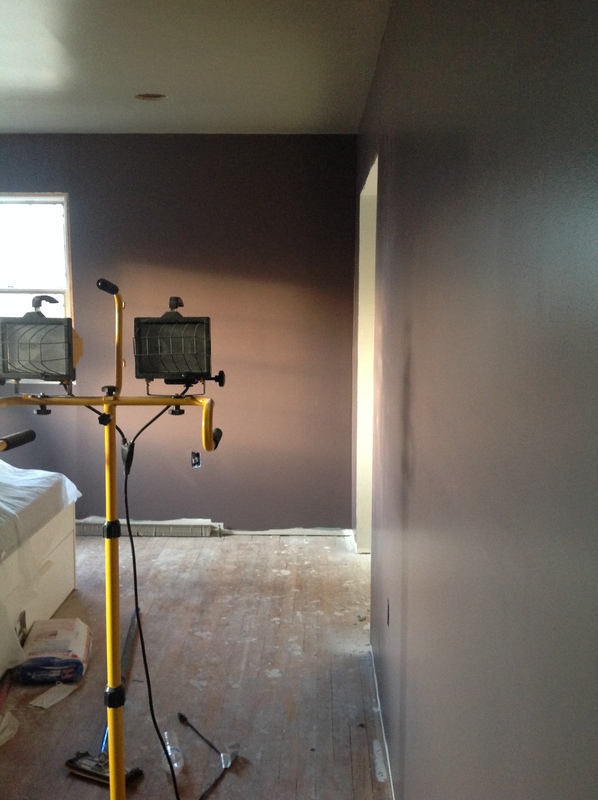 We finally started getting excited about this room. Shawn is great at painting, and I’m a writer, lolz. 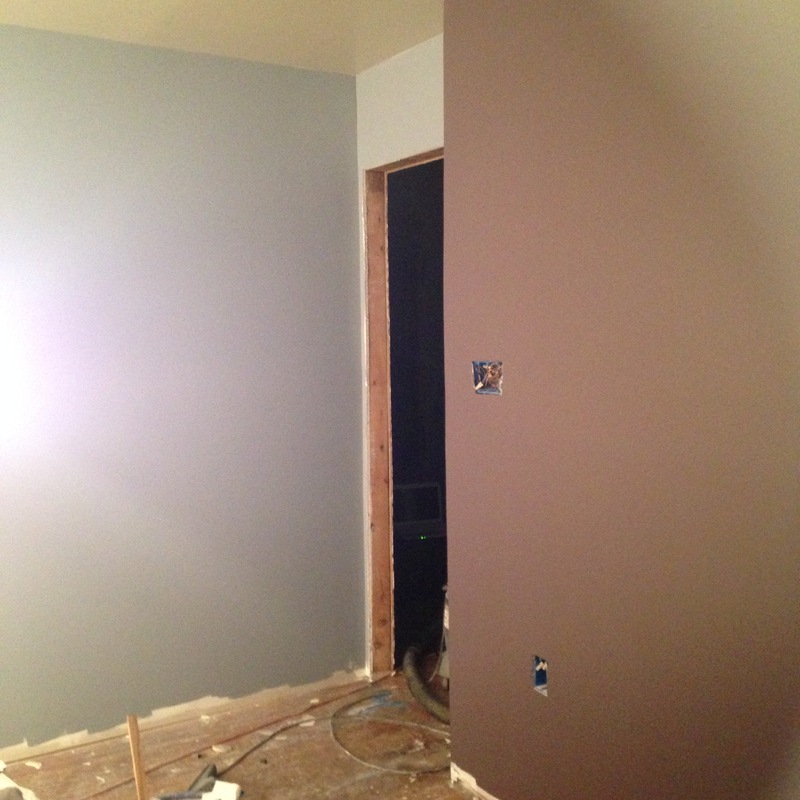 But I did primer the closet. The closet was really the place where I put in real work, and I think Shawn did that to me on purpose because it’s MY closet. I had to work for it. I also got paint on the floor. Light is fun. The left is during the day, with the lights on. 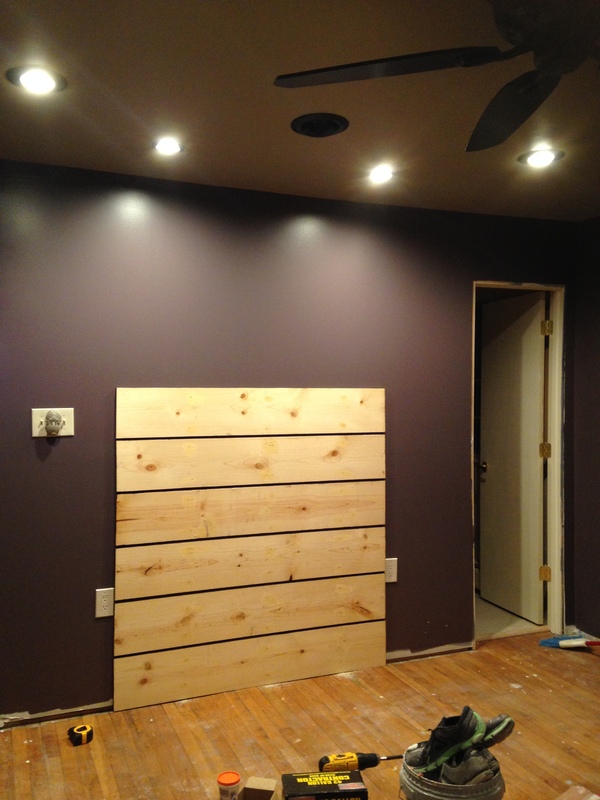 Right is during the day, no lights..
Add lighting, switchplates, outlet covers, and the fan. Go Shawn, go! 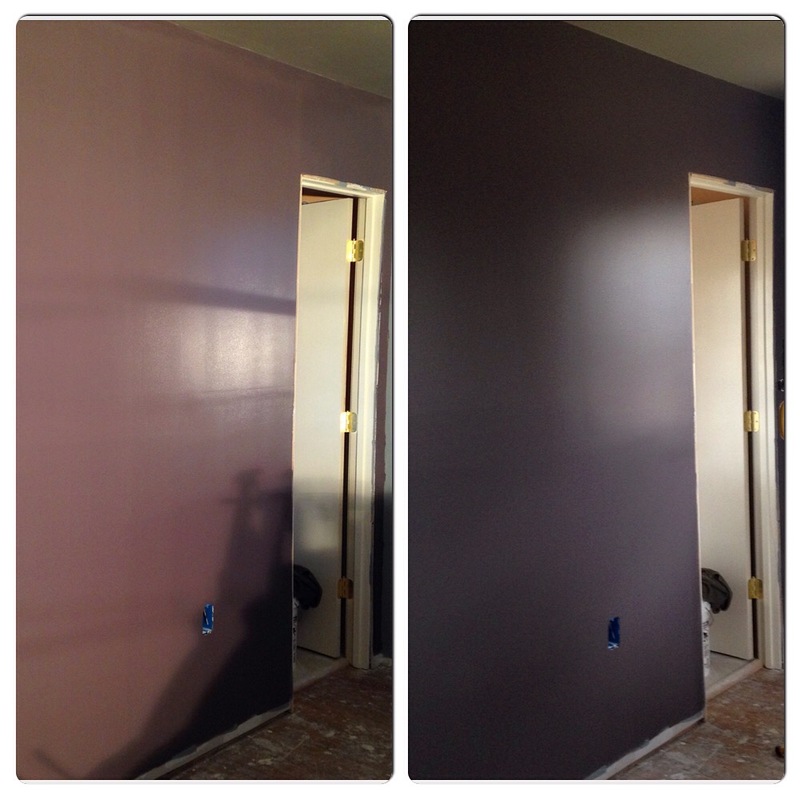 We did 4 regular recessed cans and two small ones over the bed. & our fan doesn’t have a light on it because it’s 2015. Clean. I was finally useful! I filled 2-3 giant bags of trash and debris. I shopvacced (love that thing), swept, mopped, got on my hands and knees and scrubbed drywall and paint off the floor, moved stuff. I cleaned out the master bathroom, which had taken a beating from all the rinsing and moving and sanding. Look how dirty the floor is.. Yikes! 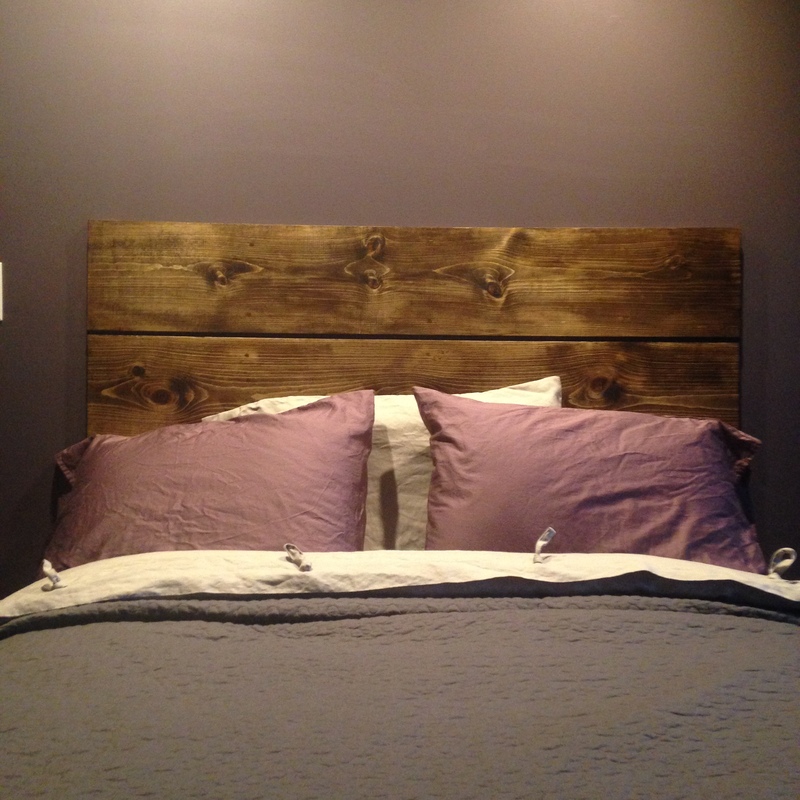 Build the headboard. All Shawn again. I should write an entire post about the headboard because of how magical it is. Move clothes in. This took awhile, but my closet is small and wonderful. Yes, my coats and boots ARE to die for, thanks. Months and months (OK, about a year) after we finished the bedroom, we finally got curtains and added little details. 12. 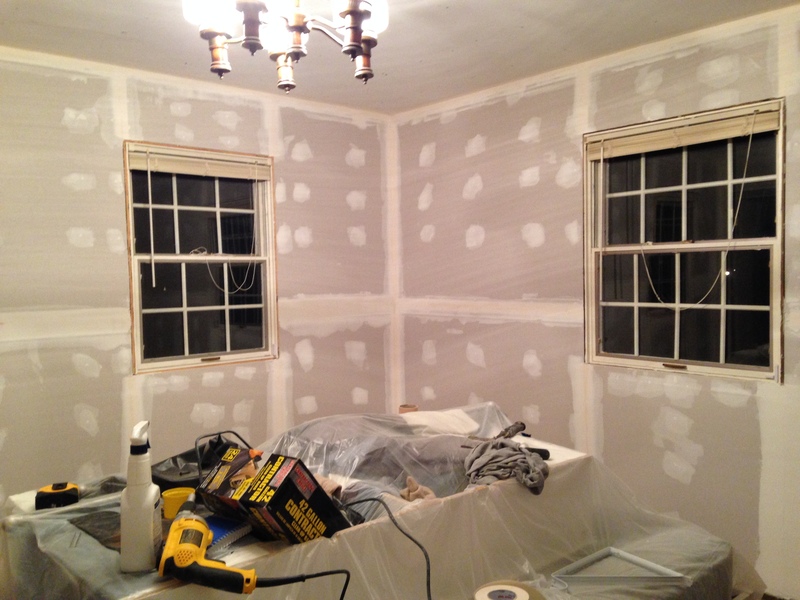 Next: Add window trim. 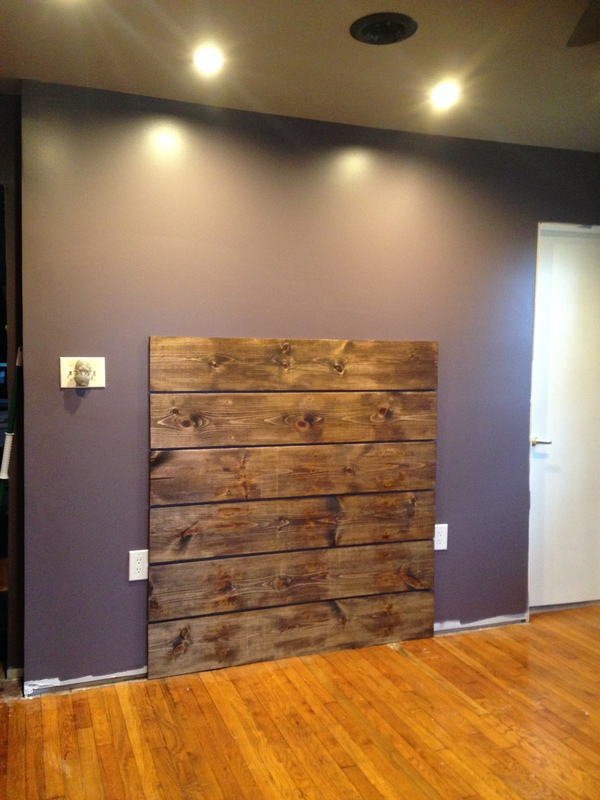 Make closet door (it’s gonna be a sliding barn door). 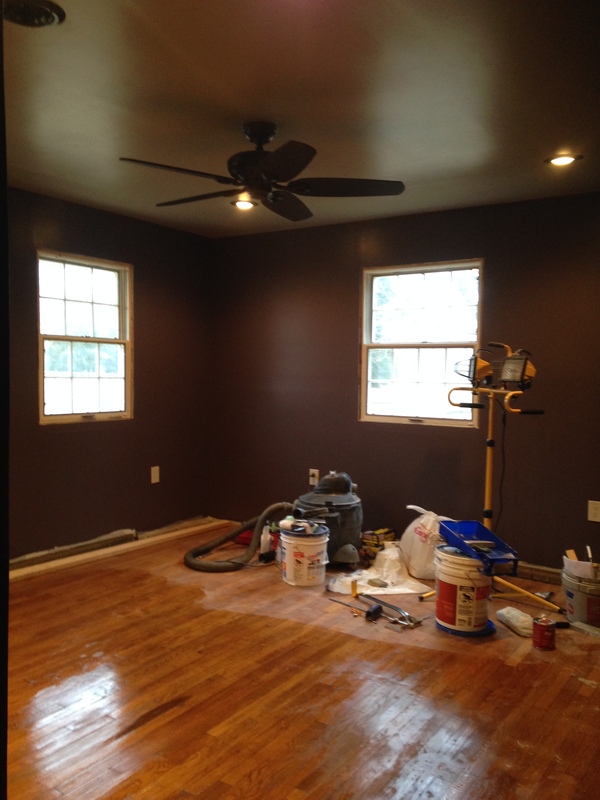 Redo floors (throughout house..) and then add floor trim.